On a recent run, I came across this violated stone lion. Look closely . . . it’s been embellished with blue glitter nail polish, eyeshadow, and yes—lipstick. 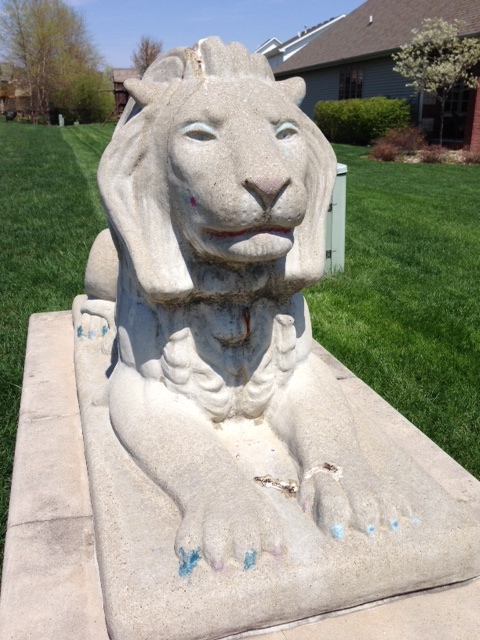 At first glance, it looked like all the other neighborhood stone lions, but a closer inspection revealed that it had succumbed to a makeover. Now, personally, I think it’s adorable that some kid took a look at that lion and thought it needed a little something special (sparkles, of course) and that those claws would look better with nail polish. For the purposes of this post, however, let’s call it a non-obvious crime. 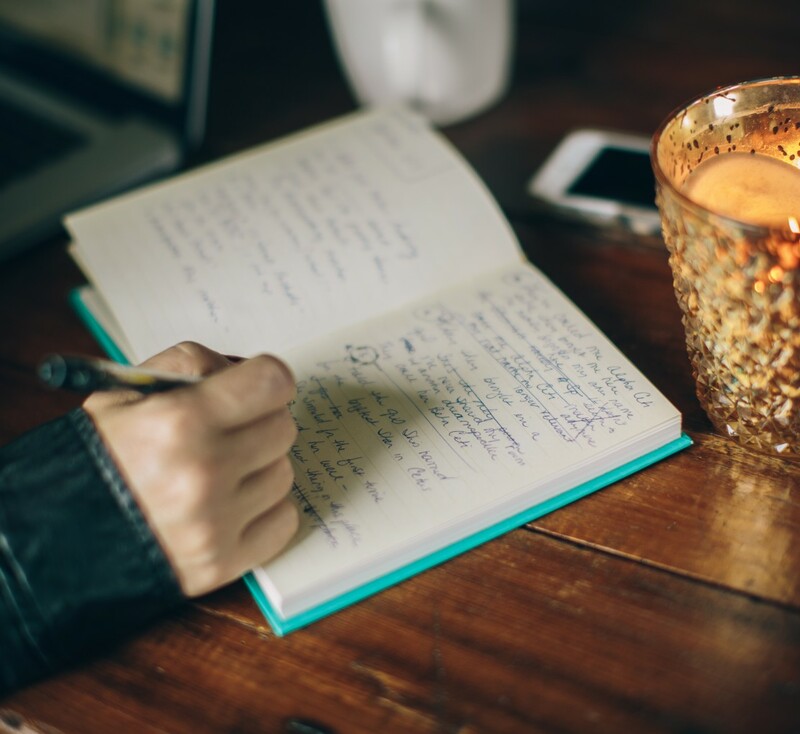 Some writing mistakes rear up and smack you on the nose: plot holes, switching tenses, too many dialogue tags, not enough dialogue tags…Grammar, too, is often an easy fix: the right use of its and it’s, lay and lie, and good ‘ol punctuation and spelling. But word overuse is more insidious–often overlooked in first, second and even third drafts. The worst part is that they’re not even good phrases–‘telling’ writing instead of ‘showing.’ Criminal, indeed. So, as I go through my manuscript and rework these phrases into moments the reader feels along with the character, I’m on the lookout for other such overused words. Hey, that’s what the editing process is for, right? This is another instance where beta readers and critique partners are so helpful–they will usually see the nine million times you used the word ‘slowly’ and issue you a friendly citation. Better them, than an agent or editor. If you’re in the revision process, I’d encourage you to do a ‘find and replace’ search (under ‘edit’ in Microsoft word) Type in a word or phrase you find yourself leaning in to, and see if you’ve committed any crimes. Hopefully, nothing as bad as my heart-pounding, stomach-twisting felonies.